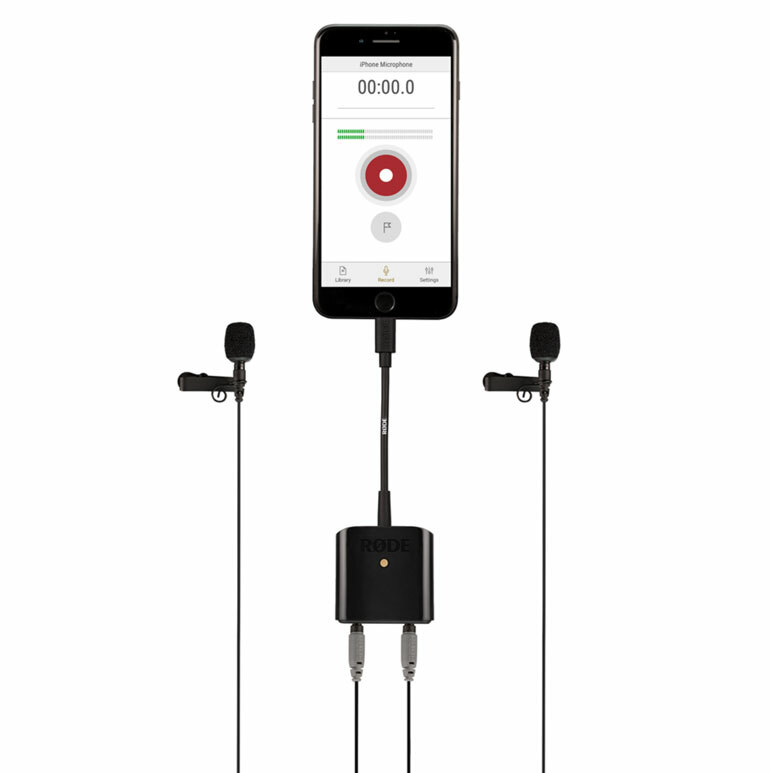 RØDE has launched a new recording apparatus for Apple iOS devices. 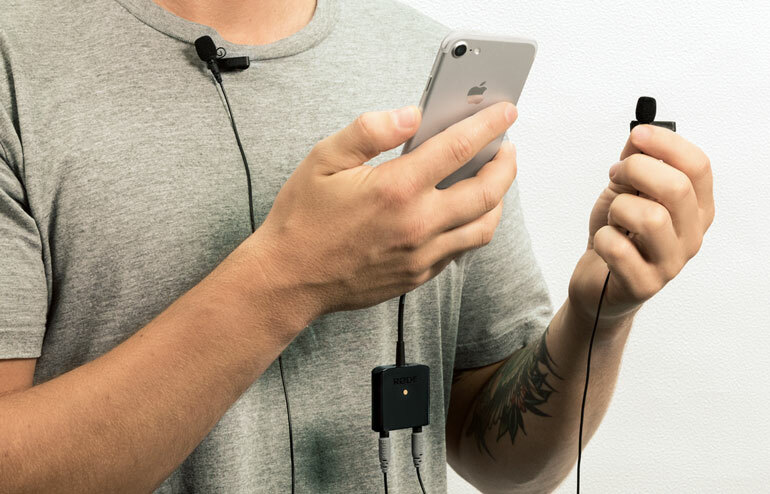 The SC6-L Mobile Interview Kit is a unique interface featuring a dual 3.5mm TRSS-to-Lighting input, which enables two RØDE smartLAV+ microphones to connect with one iPhone or iPad. Billed as a “Pocket Podcast Studio,” the SC6-L mobile interview kit is a solution for journalists seeking to conduct interviews with multiple subjects, or perhaps with one of the lavs on the interviewer. Consider it an alternative to handing a stick mic back and forth. Along with the RØDE Reporter App, users will be able to monitor to both sources of audio, adjust input and headphone levels, as well as playback recordings and share and send them right away. The interface also works with other recording apps, like Voice Memo, Garage Band, and the Camera app. As a packaged kit, the SC6-L comes with two smartLAV+ microphones, two lav clips and windshields, the interface itself, and a travel pouch. The lav mics are omnidirectional condensers with cables that are reinforced with Kevlar. This marks the second Lightning-based audio solution for RØDE, after their recent VideoMic Me-L iOS microphone. The new smartphone products are intended to work for both emerging content producers as well as working professionals. Clearly vlogging is going nowhere, so it only makes sense that RØDE sees an opportunity to help a large amount of phone-based vloggers and live streamers improve their audio. In addition to the Mobile Interview Kit, the SC6-L Interface is also available to purchase separately. More info here.